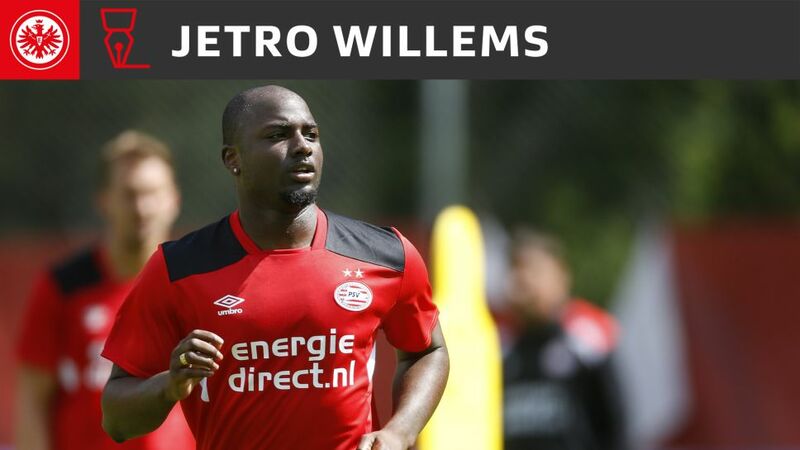 Jetro Willems earned his first international cap with the Netherlands at the age of 18. Eintracht Frankfurt have moved quickly to replace departed left-sided defender Bastian Oczipka by signing Netherlands international Jetro Willems from PSV Eindhoven. The Eagles announced on Friday that Willems has put pen to paper on a four-year contract. Sporting director Fredi Bobic said the club were "very happy" to get the deal over the line after a slight delay following the 23-year-old's medical. "What's important is that Jetro is now with us," Bobic said. "He's a young and very ambitious player who will strengthen our team." Ahead of his first training session with the club on Saturday, Eintracht's new number 15 explained why he had chosen to join last season's DFB Cup runners-up. "I really wanted to move to a club that offered me a good outlook and where I could play regularly," Willems told the Eagles' website. "I had very good discussions with the club management and the head coach so I'm convinced that I can take the next step in my career with Eintracht Frankfurt." Willems, who won the Eredivisie twice during his eight-year stay at Eindhoven, registered 12 goals and 34 assists in all competitions for the Dutch club. He earned his first full international cap with the Netherlands at the age of 18, and has since turned out a further 21 times for the Oranje.